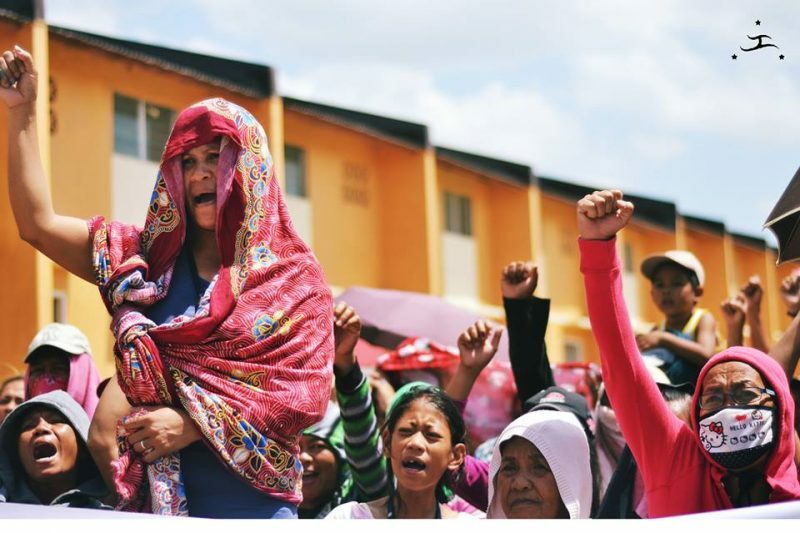 26 April 2017 – Taking aim at the most powerful oligarchs in the Philippines, rural poor militants are striking at colonial-style feudalism through #OccupyLuisita. 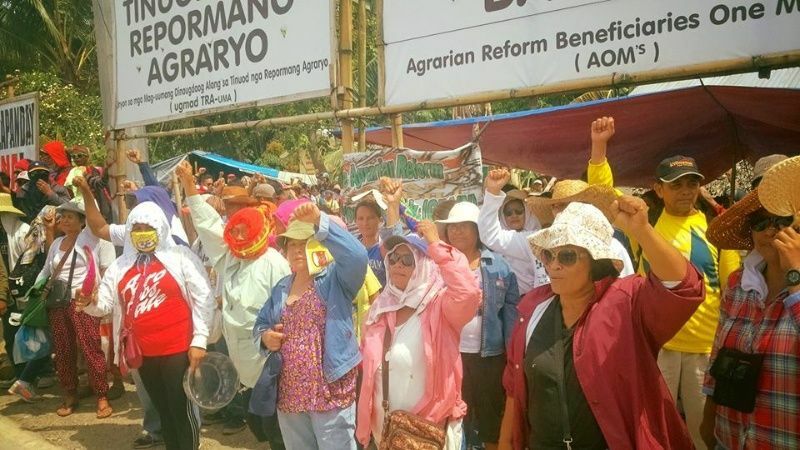 In a bid to reassert their right to rural lands, farm workers and peasants in the Philippines have directly seized and occupied property claimed by one of the archipelago’s largest banks and main oligarch families, the Aquino clan. The move is an escalation of a long campaign to dismantle the unjust system of feudalism and landlord rule inherited from the period of Spanish colonialism. Gathered in the hundreds and carrying signs with slogans such as, “Land to the Tillers, Not to Their Killers,” members and supporters of the Kilusang Magbubukid ng Pilipinas — a militant mass movement of small farmers, landless peasants, farm workers, rural youth and women — converged on a walled-off section of Hacienda Luisita, a massive sugar plantation in the Tarlac province controlled by the Cojuangco-Aquino political dynasty..As hundreds of police and private security guards looked on, 700 farmers took turns destroying a concrete wall enclosing large tracts of land that were illegally sold to the Rizal Commercial Banking Corporation. Eventually, a farm tractor was brought in to pull sections of the wall down. While the farmers dispersed that afternoon, they swore to return and undertake the collective cultivation of the land. For the farmers, the walled-off enclosure represents the broken promise of land reform that the Philippine rural poor have been fighting for decades to win in the face of illegal and semi-legal methods of dispossession and open robbery by ruling elite families. The mass action, given the hashtag #OccupyLuisita by the peasant movement, recalled the recent successful takeover and redistribution of government housing undertaken by allied urban group Kadamay in Bulacan province, called #OccupyBulacan. 11 April 2017 – Villagers involved in a long-running land dispute in Kratie province’s Sambor district have prevented soldiers from building a fence around disputed land that the army intends to use as a sniper training ground. The two-year-old conflict surrounding 20 hectares in O’Krieng commune’s O’Kandie village between villagers and the military’s Regiment 42-Ngor flared up again on Friday morning when 10 soldiers, one of them armed with a rifle, brought material to build a fence around the land, which locals have been cultivating since 1997, according to rights activists and villagers. “I stood in front of [the soldiers’] tractor. I told them to shoot me, but they did not,” said villager Phan Sina, who belongs to one of the six affected families. Sina said soldiers had been trying to use her 180-by-600-metre plot for sniper training since 2015. She said land titling volunteers measured her land in 2013 as part of a nationwide reform effort and issued a receipt for her, though she is still waiting for the actual title because of a complaint by the soldiers. “The soldiers accused us of grabbing their land. I said that if I did grab the land, you would have beaten or handcuffed me already,” she said, in turn accusing the soldiers of slashing hundreds of her cashew trees. 31 March 2017 – Thousands of homeless families have occupied over 6,000 abandoned and empty housing units in six public housing sites in Bulacan province north of Metro Manila since March 8, 2017, International Working Women’s Day. Led by the Kalipunan ng Damayang Mahihirap (Kadamay), an urban poor organization, and supported by various activist groups, those who taking part in the occupation have put up barricades and held their ground for almost a month already in the face of harassment and threats of eviction by housing authorities and police forces. Early into the occupation, President Rodrigo Duterte accused the movement of sowing “anarchy” and vowed to use force to evict them from the mass housing units. “If you want to ignore the law, you cannot do that. I will force the issue with eviction,” he said. Insisting that the occupied households have been vacant and left to rot for years while thousands remain homeless, Kadamay did not back down from their assertion of the right of the poor to avail of free public housing. After a dialogue by housing officials with Kadamay, the Duterte government backed off from the planned forced eviction of the families, which was scheduled to begin last March 27. 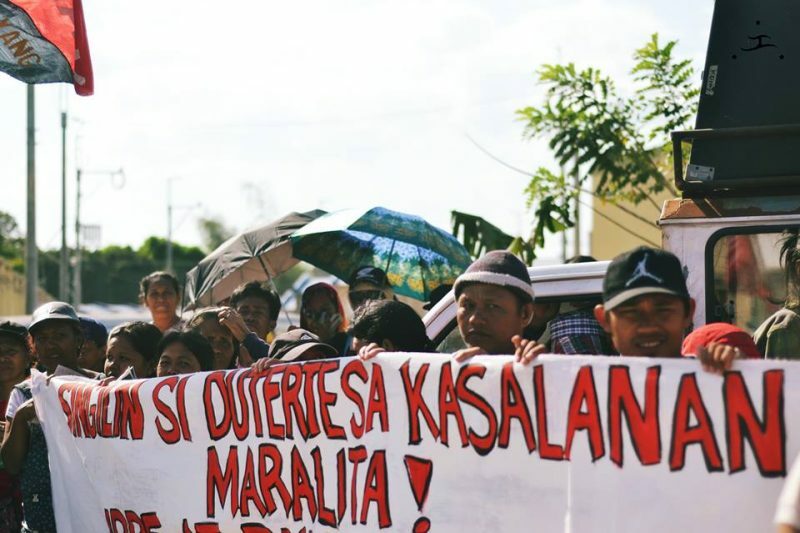 Kadamay called this an important victory of the collective struggle of the poor. Preah Vihear villagers block Rui Feng bulldozers from clearing disputed land last month. 10 June – Authorities in Preah Vihear province’s Chheb district yesterday backed villagers who seized bulldozers owned by a Chinese company that was clearing community land and has long been embroiled in land disputes in the area, according to local residents. About 100 villagers took possession of two bulldozers owned by the Rui Feng company and detained the drivers, who they said were clearing property the community uses as grazing land, said villager Sath Say, 63. The incident was not the first time villagers had stopped and held machinery owned by the company and its affiliates. “They had promised not to clear that area and they’ve cleared almost all of our forest . . . They even bulldozed the demarcation posts – they cleared about a dozen hectares,” Say said. Reached yesterday, district police chief Chhuon Mady said the district governor had resolved the problem, but was unable to give further details about the incident. A Green Rubber company checkpoint burns in a Preah Vihear ELC on Monday after protesting villagers set it on fire. 23 March – More than 200 people from five villages in Preah Vihear and Siem Reap provinces on Monday burned two rubber company guard posts to the ground in protest of the planned clearing of at least 1,000 hectares of disputed farmland and forests. In 2012, the government granted a 70-year, 6,000-hectare economic land concession (ELC) spanning both provinces inside the Kulen Prom-Tep Wildlife Sanctuary to Ly Chhuong Construction and Import Export (later renamed Green Rubber). Following protests from villagers, who claimed they had lived on the land since 1998, the government excised 473 hectares from the concession in 2014. However, other villagers have continued to contest parts of the concession. In total, 2,000 hectares remain in dispute. Pang Yiet, Kulen’s district governor, said that authorities and company representatives met residents of five villages on Monday, telling them that the company this year planned to clear 1,000 hectares, including land on which some of their farms were located. The villagers reacted by setting fire to two of Green Rubber’s outposts in the ELC, he said.“We told them in the morning and they burned things down in the afternoon; they did not listen to us,” the governor said yesterday. 18 March – More than 200 Preah Vihear families are locked in a land dispute with a Phnom Penh police officer over a 7-hectare burial site, with villagers alleging the officer drew his service pistol on them. Um Vanna is a Phnom Penh-based officer in the National Police’s riot squad. To the protests of local residents, Vanna lay claim to a burial site in Preah Vihear’s Sangkum Thmei district early last year. Sun Chanda, 31, lives nearby and is among the villagers who oppose Vanna’s claim to what they say is the resting place of their ancestors. “Vanna wants people to hand the ancestral graveyard to him for his private property, but we want to preserve it as collective property,” said Chanda. Chanda is one of eight villagers accused in a lawsuit brought by Vanna in December of “violently grabbing and intentionally vandalising” his property. 14 March – 14 March – A group of Kuoy ethnic minorities commandeered a truck attempting to move a huge log out of Preah Rokar community forest in Preah Vihear’s Cham Ksan district on Friday. According to community member Min Yut, close to 50 villagers surrounded the truck and six workers from a company called Ratanak Sambath. The employees fled, leaving the truck and two chainsaws behind, he said. A representative from the company later negotiated the return of the truck, in return for $1,500, Yut added. “We agreed and took the compensation to use for patrolling our forest,” he said, adding that the log and chainsaws were impounded. The company could not be reached for comment yesterday and local authorities said they were not yet aware of the case. According to Yut, this was the second illegal logging case involving Ratanak Sambath this year. In February, he said, the company had negotiated the return of two trucks impounded by the community group in a similar incident for $800.